The agreement between the two will see them sharing patent licenses and any current and future R&D. Fuel cell technology is something almost every automaker is researching and developing to carry their businesses into the future. 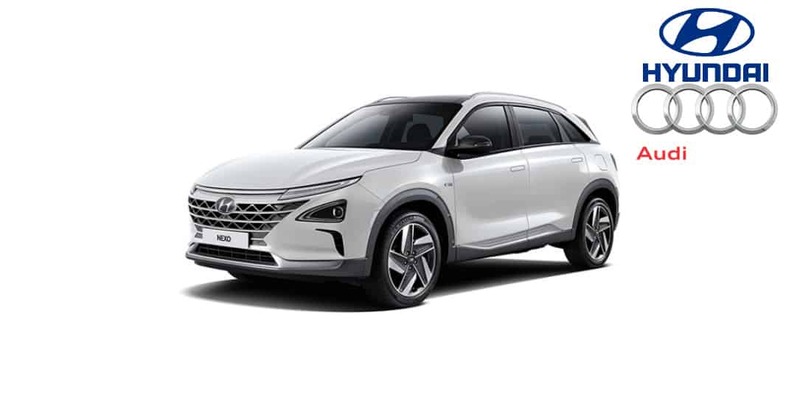 Hyundai Motor Group and AUDI AG announced they have entered into a multi-year patent cross-licensing agreement, covering a broad range of fuel cell electric vehicle (FCEV) components and technologies. This new partnership will see the two automakers combining efforts on fuel cell technology and electric vehicles. The agreement between the two will see them sharing patent licenses and any current and future R&D outlined within the agreement. It’s an interesting partnership and it highlights how the auto industry is slowly moving away from gas and oil. It will be interesting to see if the partnership can accelerate fuel cell technology research and start producing viable and profitable product soon. Hit the link below to read the entire press release. What do you think of this partnership? How do you think of fuel cell technology? Are you ready to change from the traditional gas-powered vehicle? Let us know in the comments below or on Google+, Twitter, or Facebook. [Infographic] Is social media feeding confirmation bias?